Must Have Precious and Positive Child's Shirt! Words have power. Send an uplifting message to the masses with juDanzy ’s “Kind.Smart.Important.” Tee! 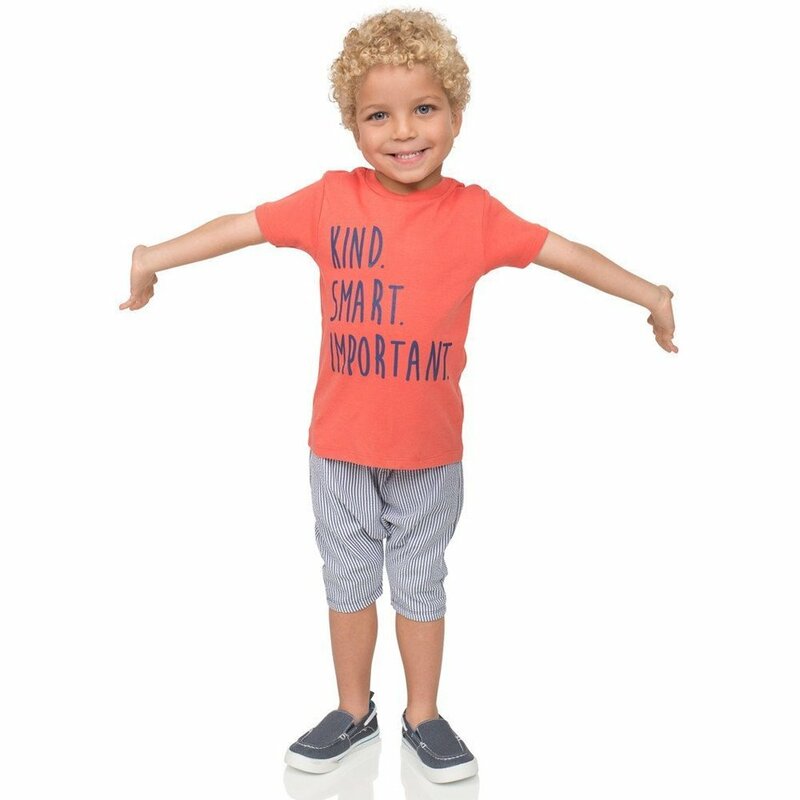 The clothing we wear says a lot about who we are and this positive piece from juDanzy is sure to let everyone know how kind, smart and important your little one is! No one is too small to spread a positive message, and this trendy tee does just that. Originally known as that cute little leg warmer company, juDanzy has expanded into other adorable items including apparel, hair bows, socks, hats, blankets, bodysuits and shoes! Realizing the demands of motherhood, this bold brand is dedicated to delivering the highest quality material while promoting thoughtful and caring ideas on their clothing that mom would be proud of. 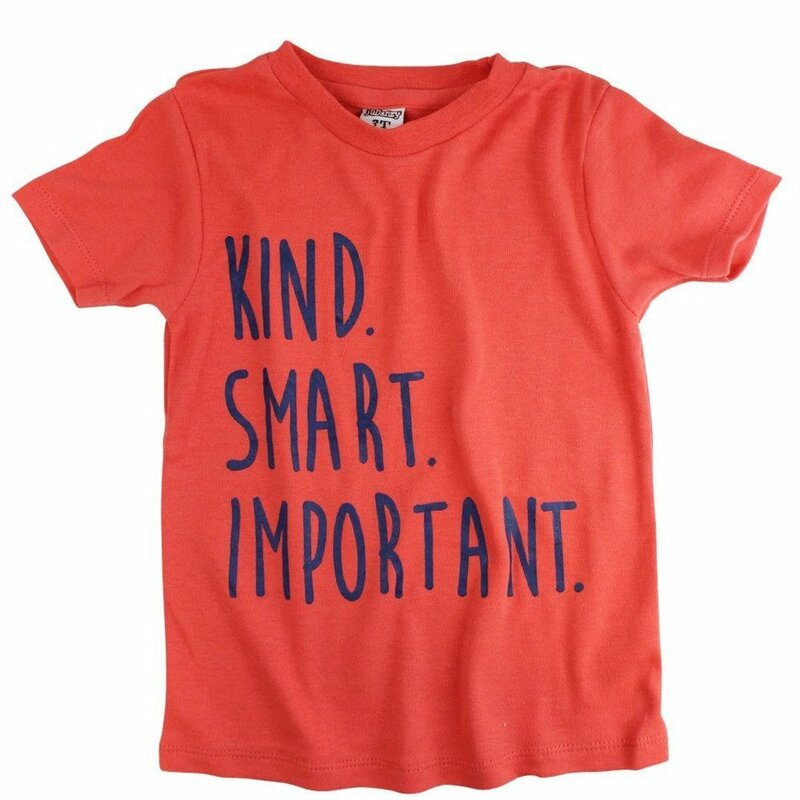 Kill them with kindness in juDanzy’s “Kind.Smart.Important” Tee! A must-have for every little boy or girl, this 100% cotton coral shirt, available in sizes 2T-5T, will add some positivity into our world. With encouraging words on this super soft shirt, you can watch your tiny tot spread effective change in thought when wearing this adorable outfit. The trend of powerfully positive tees is taking over the market, so snag a sophisticated shirt for your little rockstar to sport this season. If you’re interested in learning more about juDanzy and their fabulous products visit https://judanzy.com/. Based in Livermore, California, juDanzy®, formerly known as My Little Legs, recognized the demands of motherhood and created a children’s brand that provides home shoppers and busy moms children products that are high-quality, stylish and comfortable. Customers may know the company as that cute little leg warmer company, but juDanzy has expanded immensely and now carries a variety of products such as hair bows, hats, socks, footless tights, diaper covers, blankets, bodysuits, and dresses. juDanzy truly values their customers and actively engage with them daily on Facebook, Pinterest, Instagram, and Twitter.